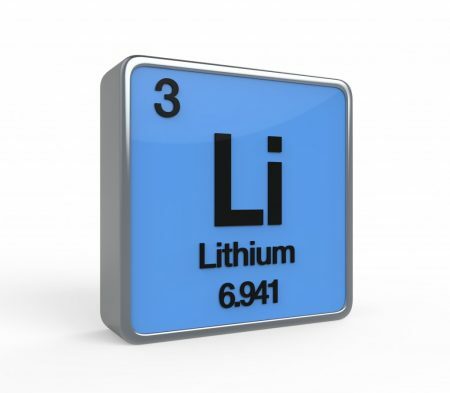 Robert M. Post, Editor-in-Chief of the BNN, recently published an open access article in the journal Neuropsychopharmacology, “The New News About Lithium: An Underutilized Treatment in the United States.” Here we summarize the main points of the publication, including: the multiple benefits of lithium, its relative safety, predictors of lithium responsiveness, and principles for treatment. Lithium prevents both depressions and manias in bipolar disorder, and also prevents depressions in unipolar disorder and can augment antidepressant effects acutely. In addition to these mood benefits, lithium has anti-suicide effects. Lithium also enhances the efficacy of atypical antipsychotics and other mood stabilizers when used in combination with them. Lithium is good for the brain. It has been shown to reduce the incidence of dementia. Lithium increases the volume of the hippocampus and cortex, and can increase the production of new neurons and glia. It also protects neurons. In animals, lithium has been shown to reduce lesion size in neurological syndromes that are models for human disorders such as AIDS-related neurotoxicity, ischemic/hemorrhagic stroke, traumatic brain/spinal cord injury, Huntington’s disease, Alzheimer’s disease, amyotrophic lateral sclerosis (ALS or Lou Gehrig’s disease), fragile X syndrome, Parkinson’s disease, retinal degeneration, multiple sclerosis, alcohol-induced degeneration, Down’s syndrome, spinocerebellar ataxia-1, and irradiation. Lithium’s benefits include more general ones as well. It can increase the length of telomeres, bits of DNA on the ends of chromosomes that protect them during replication. Short telomeres have been linked to various illnesses and the aging process. Lithium also decreases the incidence of several medical illnesses and enhances survival. A 2017 study in the journal Molecular Psychiatry suggests that by observing the neurons of a person with bipolar disorder, you can predict whether they will respond to lithium treatment. The drug is effective in approximately 30% of those to whom it is prescribed. Researchers led by Shani Stern and Renata Santos used stem cell research to analyze neurons from people with bipolar disorder and healthy controls. People with bipolar disorder shared some neuron features, namely a large, fast after-hyperpolarization (a phase in which the cell’s membrane changes), which is followed by a resting period before the neuron can fire again. The large, fast hyperpolarization in people with bipolar disorder speeds up this cycle, leading to fast and sustained neuron firing. This replicated previous findings by the same researchers, which found that people with bipolar disorder are more sensitive to stimuli. 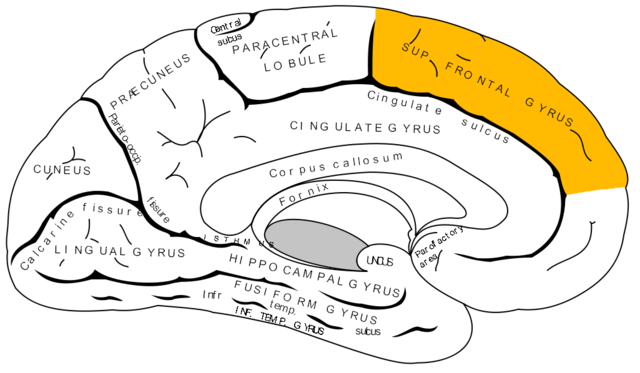 In people with bipolar disorder, the threshold for a neuron to fire drops with each subsequent after-hyperpolarization. Chronic lithium treatment reduced this hyperexcitability in some patients—and these were the patients who had a good response to lithium treatment. Among the study participants with bipolar disorder, there were differences in the neuron profiles of those who responded well to lithium versus those who did not. Stern and colleagues programmed a computer to recognize the electrophysiological features of neurons from lithium responders and non-responders. The computer could then analyze the neurons of a patient whose response to lithium was unknown and predict with a greater than 92% success rate whether that patient had responded well to lithium treatment. New research suggests that cumulative exposure to lithium may correlate with reduced cancer risk in patients with bipolar disorder. 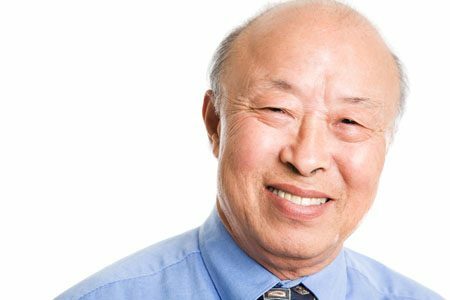 A 2016 article by Yi-Hsin Yang and colleagues in the British Journal of Psychiatry reports findings from a Taiwanese population database study of 4,729 adult patients with bipolar disorder, 115 of whom were diagnosed with cancer. Those who had been prescribed lithium (with or without anticonvulsants) had lower rates of cancer (1.96%) than those who received only anticonvulsants (2.65%). Incidence of cancer was higher among the patients with bipolar disorder than the general population in the study. Other studies have indicated that cancer risk is higher among people with bipolar disorder than those without. Those people who took a recommended maintenance lithium dose for 215 days or longer had a 44.8% lower risk of cancer than those who took only anticonvulsants. New research on mice clarifies lithium’s effects on neurons and suggests how it can lead to improved symptoms. Dendrites are the long projections on neurons that seem to reach out to form synapses with other neurons. The surface of these dendrites is covered in mushroom-shaped spines that help create these synaptic connections. A 2016 article by research Ben Cheyette and colleagues in the journal Molecular Psychiatry reports that in mice with a genetic mutation common to people with autism, schizophrenia, and bipolar disorder, lithium restored healthy numbers of the mushroom-shaped spines. The lithium treatment also reversed symptoms such as lack of interest in social interactions, lack of motivation, and anxiety in the mice. Cheyette and colleagues first identified a genetic mutation that affects signaling in what is known as the brain’s Wnt pathway. The mutation, while rare, is 80% more common in people with bipolar disorder, autism, and schizophrenia than in people without these disorders. 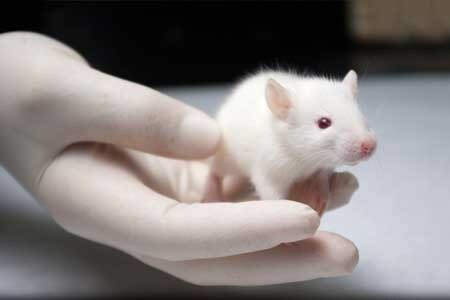 When the mice were given a similar mutation, they exhibited symptoms such as anxiety, decreased sociability, and lack of motivation. They also had reduced numbers of dendritic spines and impaired Wnt signaling. Lithium can improve Wnt signaling by blocking an enzyme called GSK-3 beta that impairs the signaling. Treating the mice with lithium restored their dendritic spines and improved their behavior. Wnt signaling and dendritic spines may offer the key to lithium’s success in treating a variety of psychiatric disorders in people. Evidence from multiple studies has indicated the importance of beginning preventative treatment, particularly with lithium, early in the course of bipolar disorder. A 2016 comprehensive literature review by researcher Katie Joyce and colleagues in the International Journal of Bipolar Disorders concluded that psychoeducation and medication are more effective in bipolar disorder when applied in earlier stages of the illness rather than later stages. Several studies suggest that treatment for bipolar disorder should be started specifically after the first manic episode. A 2014 study by researcher Lars Kessing and colleagues in the British Journal of Psychiatry examined 4,700 patients treated with lithium in Denmark. Kessing and colleagues found that those who started treatment after one manic episode were less likely to find lithium ineffective than those who started later. Another study by researcher Michael Berk and colleagues presented at the International Society for Bipolar Disorders found that after a first manic episode, a year of treatment with lithium was much more effective on all measures of outcome, including mania and depression ratings, brain imaging, and neuropsychological functioning, than a year when patients were randomized to quetiapine (Seroquel). Researcher Lakshmi Yatham and colleagues presented research at the International Society for Bipolar Disorders showing that patients recovered from the neuropsychological deficits associated with a first episode of mania if they were well treated and had no further episodes, while those who had new episodes did not return to their baseline capabilities. This suggests that early treatment that prevents future episodes helps maintain a healthy brain. Kessing and colleagues previously reported in the British Journal of Psychiatry in 2013 that patients randomized to two years of treatment in an outpatient clinic specializing in mood disorders following a first hospitalization for mania had 40% fewer recurrences of bipolar episodes over the next six years than those who received treatment as usual. These data indicate that early treatment, which may include psychotherapy, medications, mood charting (i.e. 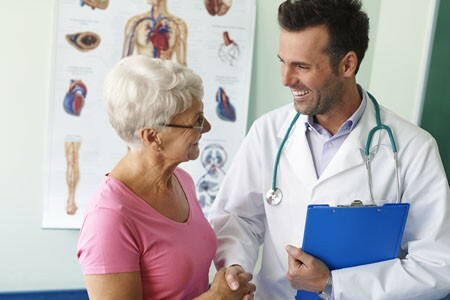 keeping a daily record of symptoms) and illness education, can improve the long-term course of illness. Lithium is often a key component of such treatment. Editor’s Note: This type of intensive, ongoing treatment is not the norm after a first manic hospitalization in the United States, but it should be. Given the new data on the impact of starting lithium after a first episode of mania, and lithium’s superiority over quetiapine in the year following a first episode, lithium treatment should be standard following a diagnosis of bipolar disorder. In the past, sometimes doctors have recommended waiting until a patient has had multiple episodes of mania before beginning preventative treatment with lithium. This now appears to be a mistake. Lithium protects against depressive as well as manic recurrences, and there is also evidence that it increases hippocampal and cortical volume, helping prevent cognitive deterioration in those with mild cognitive impairment. Lithium is also the most effective mood stabilizer for preventing suicide, and it increases the length of telomeres (caps on the end of DNA strands), thus preventing a wide range of medical and psychiatric illnesses. Lithium may need to be combined with other drugs to achieve a complete remission, but using it after a first mania is a good place to start. Several researchers have found that lithium has some value in fighting dementia. The researcher Lars Kessing has published several studies showing that people taking clinical doses of lithium for bipolar disorder have a lower incidence of dementia in old age. In 2011, another researcher, Oreste Vicentes Forlenza, reported that a year of low-dose lithium (typically around 300mg/day) slowed deterioration in people with mild cognitive impairment compared to placebo. In an article published in the journal Current Alzheimer Research in 2013, researchers led by Marielza Andrade Nunes reported that very small doses of lithium (more than a thousand times lower than doses used to treat mood disorders) also improved mild cognitive impairment in people with Alzheimer’s disease. In Nunes’ study, participants with Alzheimer’s disease were randomly assigned to receive either 300 micrograms of lithium daily or a placebo. Beginning at three months of treatment, those receiving the microdoses of lithium showed stable performance on a common Alzheimer’s evaluation tool that measures how well patients remember, recall information, and follow directions; while those taking placebo got worse. This continued over the 15 months of the study, with the difference between the two groups intensifying over time—those taking placebo got worse, while those getting the microdoses of lithium remained stable. There were no complaints of side effects from the microdoses of lithium, and participants showed no sign of impairment to their kidney or thyroid function (a risk with the higher doses of lithium used to treat bipolar disorder). In 2015, Nunes and colleagues reported in the journal PLOS ONE that in a mouse model of Alzheimer’s disease, mice treated with chronic low doses of lithium in their water had less memory disruption, fewer plaques in the brain, and fewer reductions in cortex and hippocampus size compared to mice given plain water. These studies suggest that low or micro doses of lithium may be a promising treatment for Alzheimer’s disease. Much more research is needed to determine appropriate lithium dosing for the treatment of dementia or cognition problems. Recent studies have indicated that bipolar disorder is associated with changes to brain volume, including thinning of the cortex. In research presented at the 2016 meeting of the Society of Biological Psychiatry, researcher Noha Abdel Gawad reported that four weeks of lithium treatment increased cortical thickness in the left superior frontal gyrus. This is the third replication of this finding. Other research has established that lithium treatment also increases the volume of the hippocampus in people with bipolar disorder. Together the findings provide strong evidence that lithium treatment protects neurons and can reverse brain changes associated with bipolar disorder. Telomeres are repeated DNA sequences that sit at the end of chromosomes and protect the DNA as it is replicated. 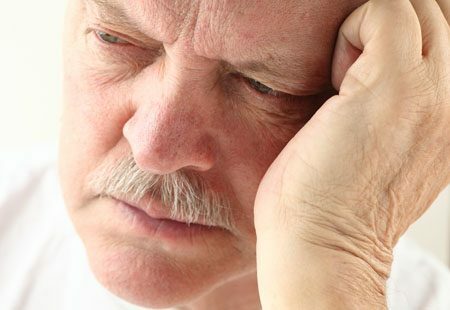 Depressive episodes and age can reduce the length of telomeres. Lithium treatment increases telomere length. At the 2016 meeting of the Society of Biological Psychiatry, researcher Martin Schalling reported that the longer a patient takes lithium, the more their telomere length increases. According to Schalling, people who respond well to lithium treatment show greater increases in telomere length than those who respond poorly to lithium. While some cancers are associated with long telomeres, lithium use has not been found to increase cancer risk. In fact, lithium treatment can decrease the risk of certain cancers of the gastrointestinal, respiratory, and endocrine systems. Patients with bipolar disorder often show increases in signs of inflammation, including levels of the proteins IL-2, IL-4, Il-6, IL-10 and tumor necrosis factor in their blood. Lithium is the most effective treatment for bipolar disorder, but it is not yet clear how it works. A recent study by researcher Joao de Quevado and colleagues determined that lithium can reduce the same inflammatory markers in rats. Rats were treated with amphetamine to induce mania-like behavior, which was accompanied by increases in some of the same inflammatory markers in the blood and brain that are increased in people with bipolar disorder. Lithium treatment reduced both the manic behavior and levels of these inflammatory proteins in the rats. The researchers concluded that lithium may treat mania by reducing inflammation. Lithium is one of the most effective medications for bipolar disorder, but it has other benefits as well. At a 2015 scientific meeting, Ronald Fieve reported that among 1021 psychiatric outpatients, 570 who received long-term lithium treatment for their psychiatric illnesses had a significantly lower likelihood of certain medical conditions compared to the other outpatients who did not receive lithium therapy. The medical conditions that lithium made less likely were seizures, amyotrophic lateral sclerosis (ALS) or Lou Gehrig’s disease, dementia, and heart attack. It is not yet know how lithium decreases these medical conditions. It may be by increasing the length of telomeres. 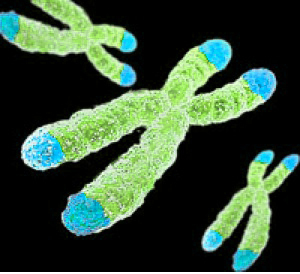 Telomeres are repeated DNA sequences that sit at the end of chromosomes and protect them during cell replication. Telomeres get shorter with aging and with stressors or psychiatric illnesses. Lithium directly increases the enzyme telomerase, which maintains telomere length. This may be one reason lithium use provides some protection from seizures, heart attacks, and other conditions.